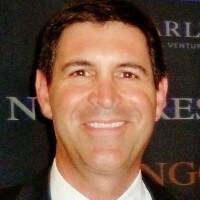 Kevin Burgoyne serves as president of the Florida Venture Forum, the state’s premier organization connecting Florida growth companies with sources of capital. In addition to his work with the Forum he serves as a board or advisory board member with the Tampa Bay Innovation Center, the Enterprise Florida Stakeholders Council and StartupQuest. Kevin joined the Forum in 2012 with more than 20 years of corporate and private investment industry experience. His corporate experience includes senior level sales, marketing and communications roles in the media and technology industries with Walt Disney Television, PanAmSat and Global Crossing. In 2006 he joined a South Florida-based multi-family office focused on real estate and technology investment, where he managed firm holdings and sourced potential investments. Kevin Burgoyne has also served as a principal and/or consultant with several technology-focused start-ups and private investment groups. He holds a B.S. from the University of Florida and an M.B.A. from the University of Chicago. Based in Miami, he is married to Lisa, an apparel industry executive, and they have three children. Kevin Burgoyne is one of many great speakers assembled for the 3.0 Leaders Conference. Learn more about the Conference here.